The 1963 Vajont landslide is a key case in landslide literature, because it was catastrophic and because a lot of accurate data were collected before and after its occurrence. In this paper, the main focus is on the possible heterogeneity of the sliding surface involved by the landslide motion, which is reflected by a heterogeneous distribution of the dynamic basal friction coefficient μ. Assuming a given zonation of the sliding surface, our strategy was to apply a 2D Lagrangian model to compute the landslide motion and to find the values of μ for each zone, leading to the best agreement between the computed and the observed final deposit. Following some hints from the literature, we have explored heterogeneous configurations composed of up to four different zones, including also the homogeneous case, by means of a 2D numerical model (UBO-BLOCK2) that handles the landslide as a mesh of blocks and runs quickly enough to allow the computation of tens of thousands of simulations in a reasonable computing time. It is found that the four-zone zonation produces the best fit (or the least misfit), which is a strong hint that the gliding surface involved different geotechnical units. The authors are indebted to the reviewers, one anonymous and the other Dr. Rachid Omira, who contributed to the improvement and robustness of the manuscript. Argnani, A., Armigliato, A., Pagnoni, G., Zaniboni, F., Tinti, S., Bonazzi, & C. (2012). Active tectonics along the submarine slope of south-eastern Sicily and the source of the 11 January 1693 earthquake and tsunami. Natural Hazards and Earth System Sciences, 12, 1311–1319. http://www.nat-hazards-earth-syst-sci.net/12/1311/2012/, https://doi.org/10.5194/nhess-12-1311-2012. Bistacchi, A., Massironi, M., Superchi, L., Zorzi, L., Francese, R., Giorgi, M., Chistolini, F., & Genevois, R. (2013). A 3d geological model of the 1963 Vajont landslide. Italian Journal of Engineering Geology and Environment Book Series (6), © 2013 Sapienza Università Editrice. https://doi.org/10.4408/ijege.2013-06.b-51. Dykes A. P., & Bromhead, E. N. (2018a), The Vaiont landslide: re-assessment of the evidence leads to rejection of the consensus. Landslides. https://doi.org/10.1007/s10346-018-0996-y. Dykes A. P., & Bromhead, E.N. (2018b), New, simplified and improved interpretation of the Vaiont landslide mechanics. Landslides. https://doi.org/10.1007/s10346-018-0998-9. Paparo, M. A., Zaniboni, F., & Tinti S. (2013). The Vajont landslide, 9th October 1963: Limit equilibrium model for slope stability analysis through the Minimum Lithostatic Deviation method. 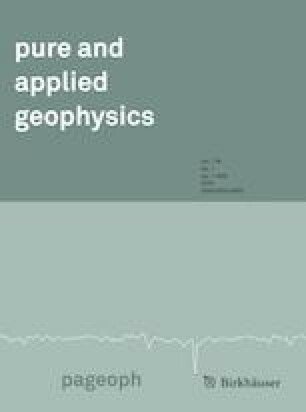 Italian Journal of Engineering Geology and Environment Book Series (6), © 2013 Sapienza Università Editrice. https://doi.org/10.4408/ijege.2013-06.b-56. Wolter, A., Stead, D., Ward, B. C., Clague, J. J., & Ghirotti, M. (2015). Engineering geomorphological characterisation of the Vajont Slide, Italy, and a new interpretation of the chronology and evolution of the landslide. Landslides. https://doi.org/10.1007/s10346-015-0668-0. Zaniboni, F., Paparo, M. A., & Tinti, S. (2013). The 1963 Vajont landslide analysed through numerical modeling. Italian Journal of Engineering Geology and Environment Book Series (6), © 2013. Sapienza Università Editrice. https://doi.org/10.4408/ijege.2013-06.b-60. Zhao, T., Utili, S.,& Crosta, G. B. (2016). Rockslide and impulse wave modelling in the Vajont reservoir by DEM-CFD analyses. Rock Mechanics and Rock Engineering. https://doi.org/10.1007/s00603-015-0731-0.